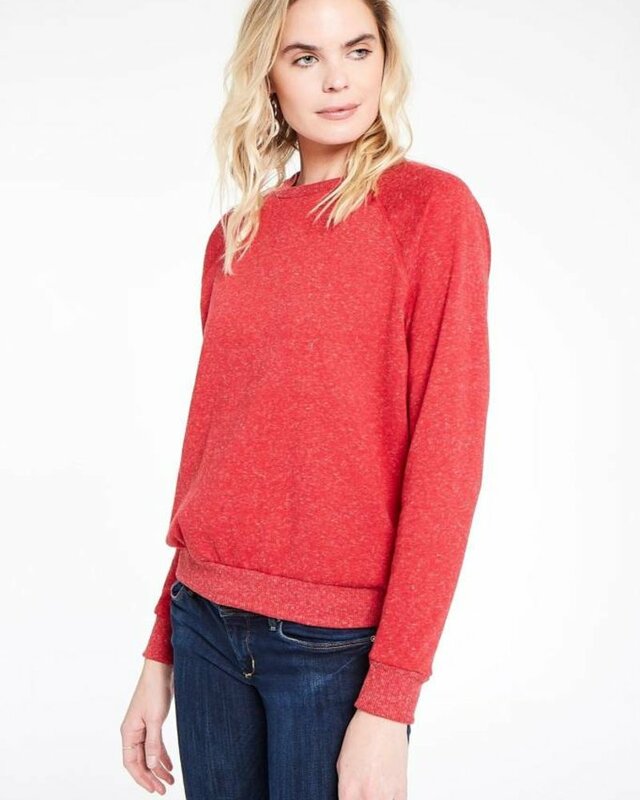 This bright little sweatshirt is sure to get you in the holiday spirit! 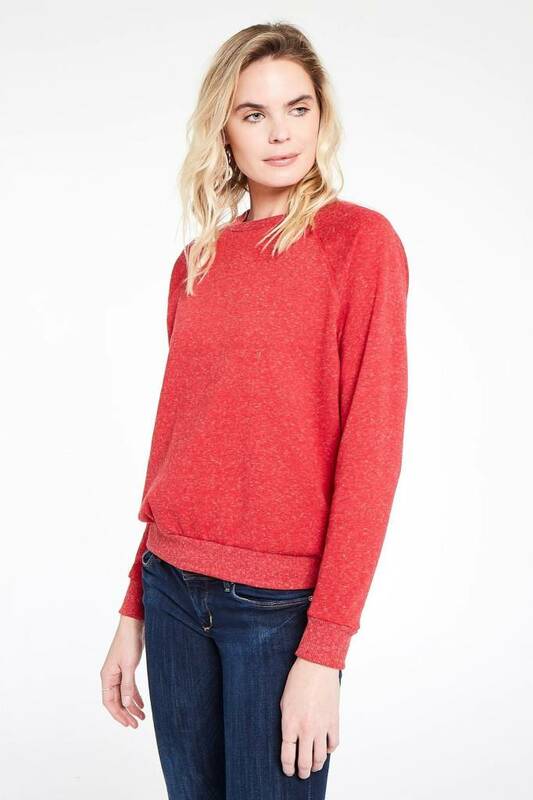 This cozy crewneck sweatshirt is fuzzy on the inside and out with white snowy speckles all over. It has banded cuffs and hem and is the perfect candy apple red.